Philip Augustus Eagles and Mary Jane Hills (portraits & photos above) married in 1863. 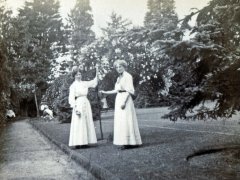 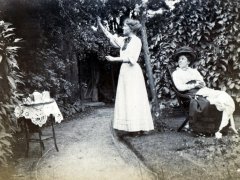 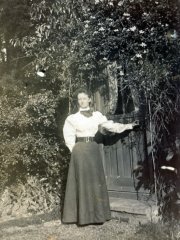 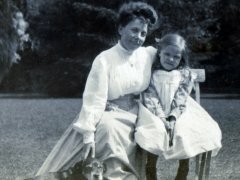 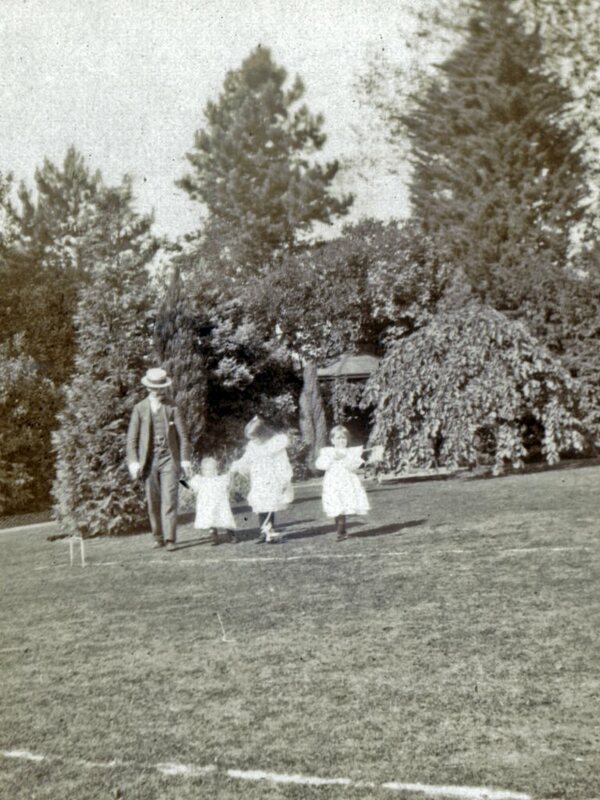 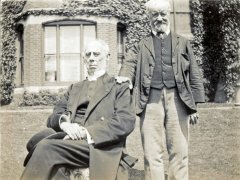 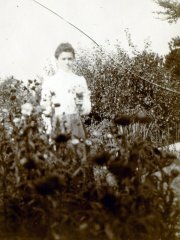 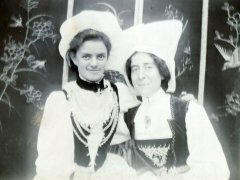 They had two daughters, Rose Mary (sometimes Rosa) and Marianne Blanche Eagles. 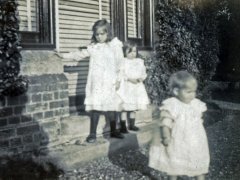 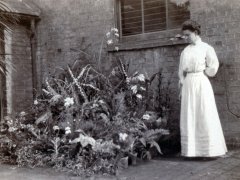 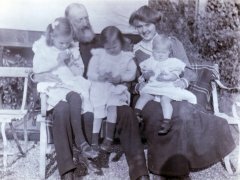 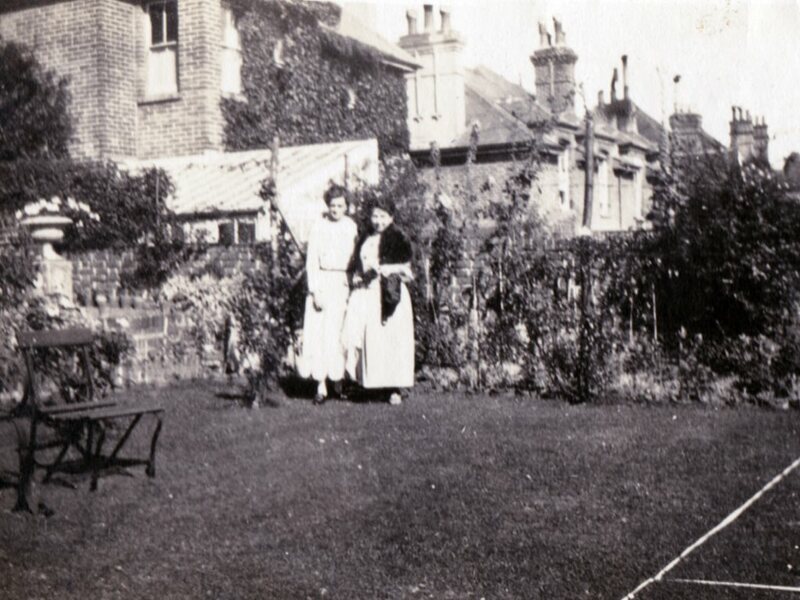 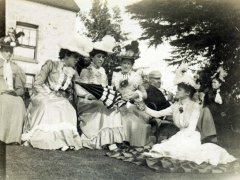 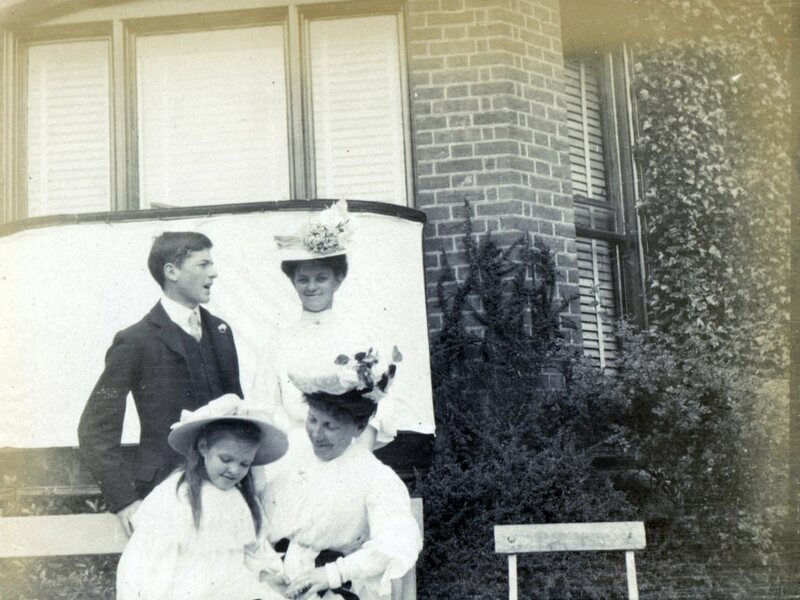 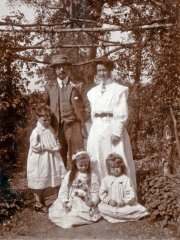 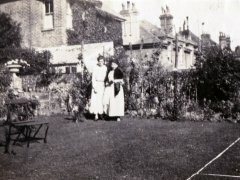 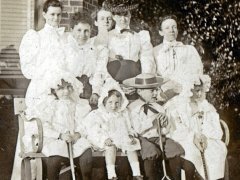 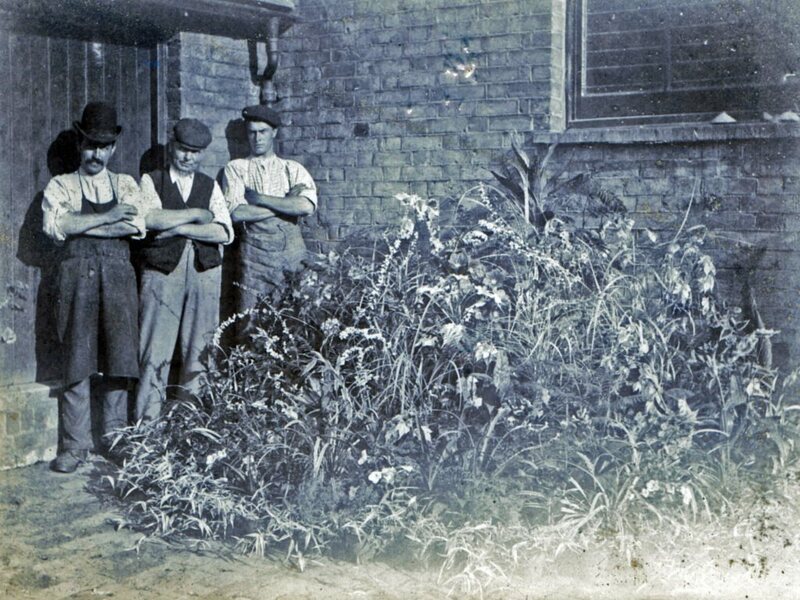 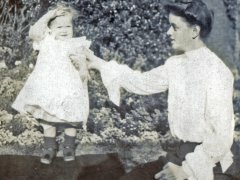 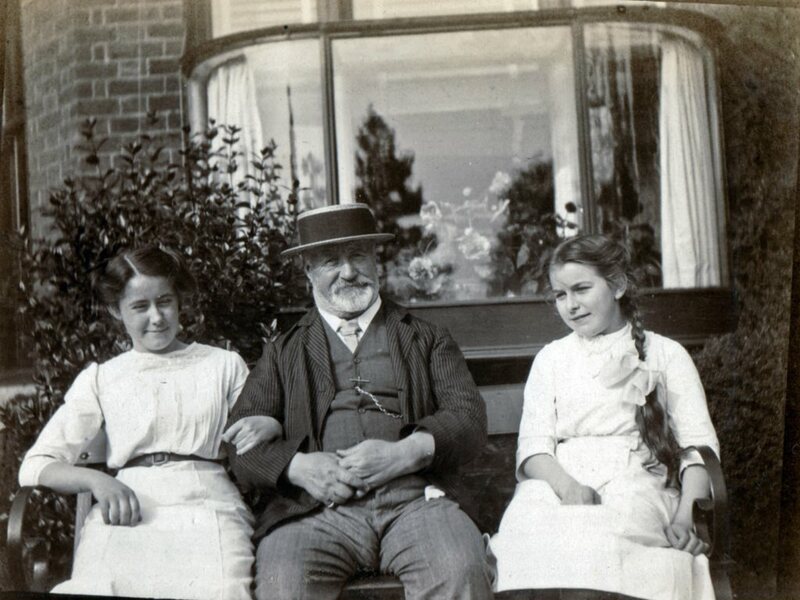 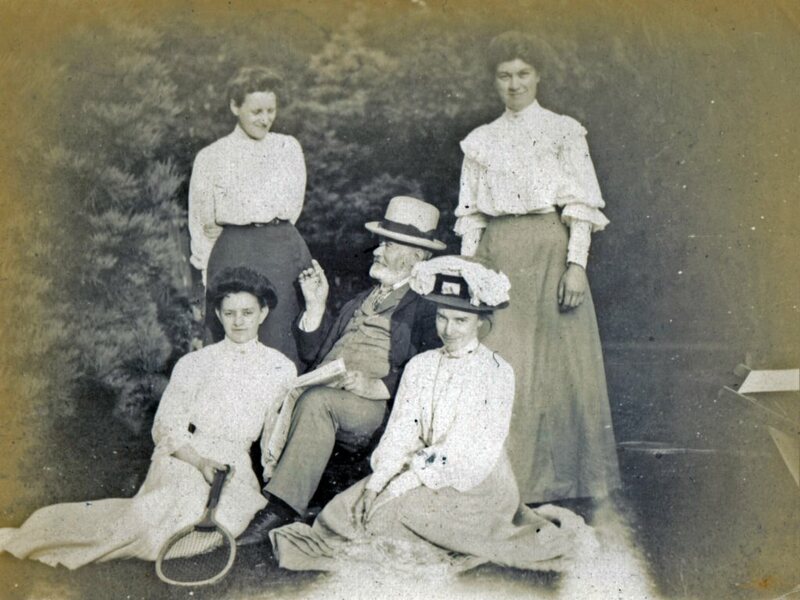 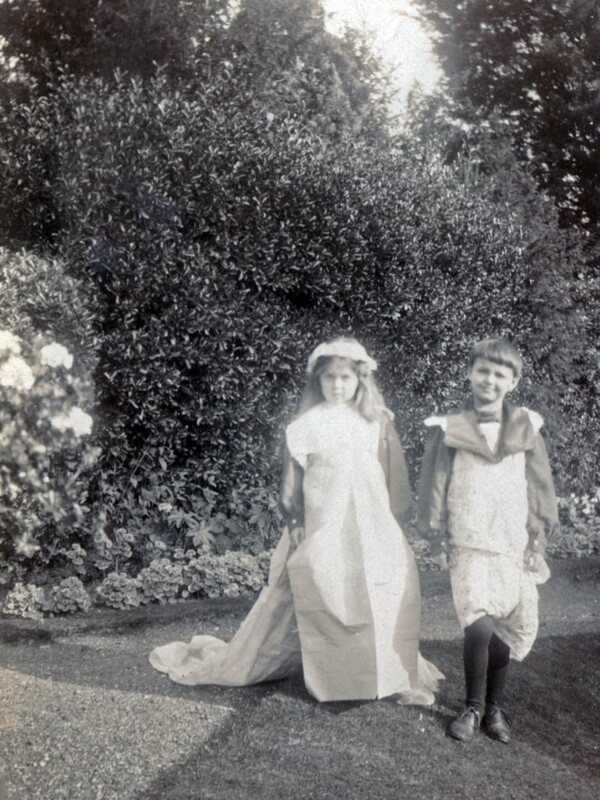 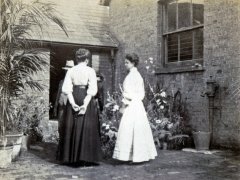 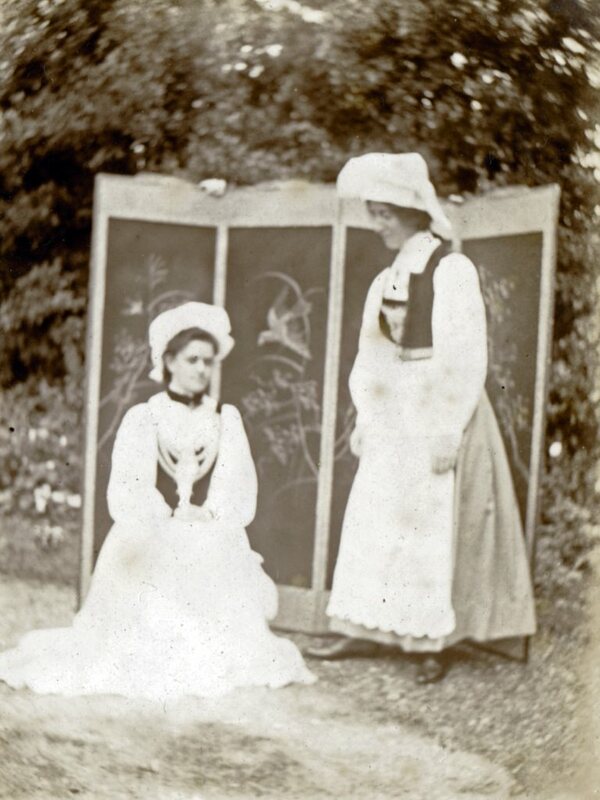 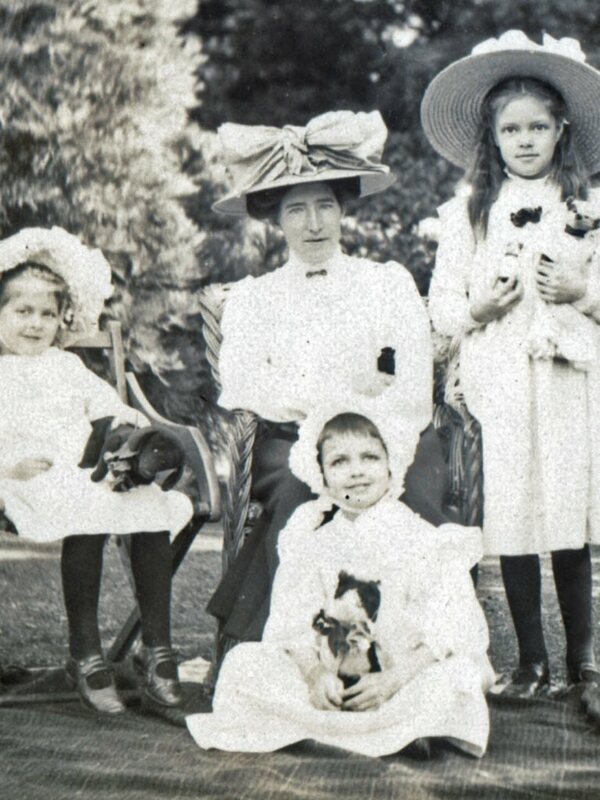 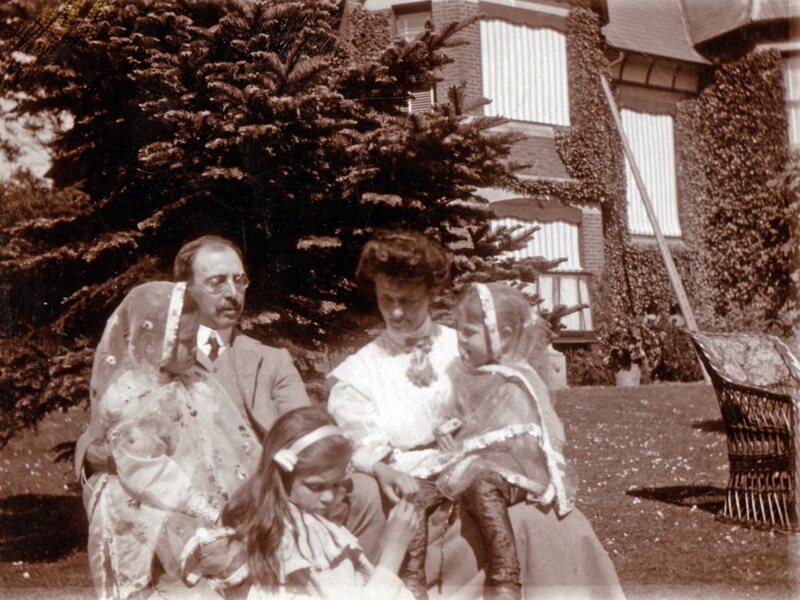 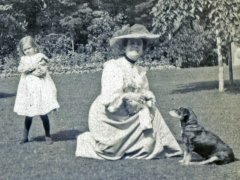 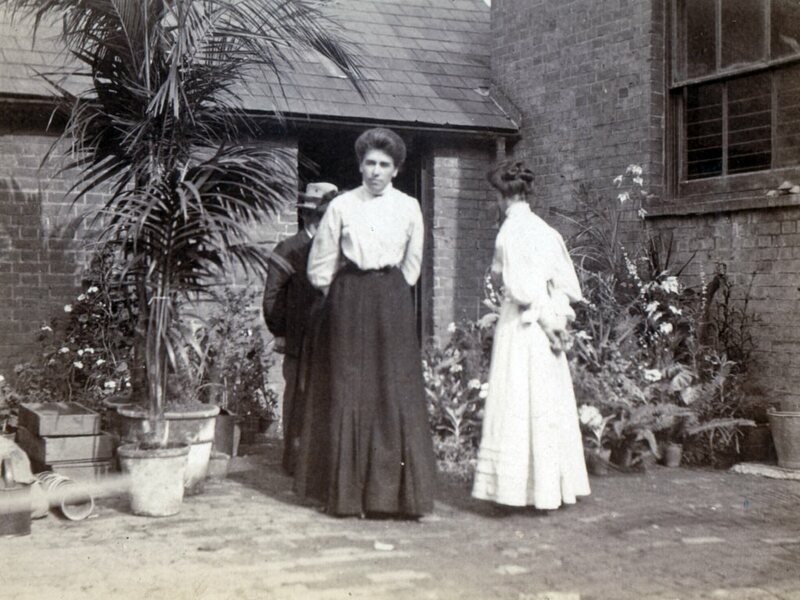 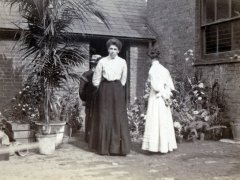 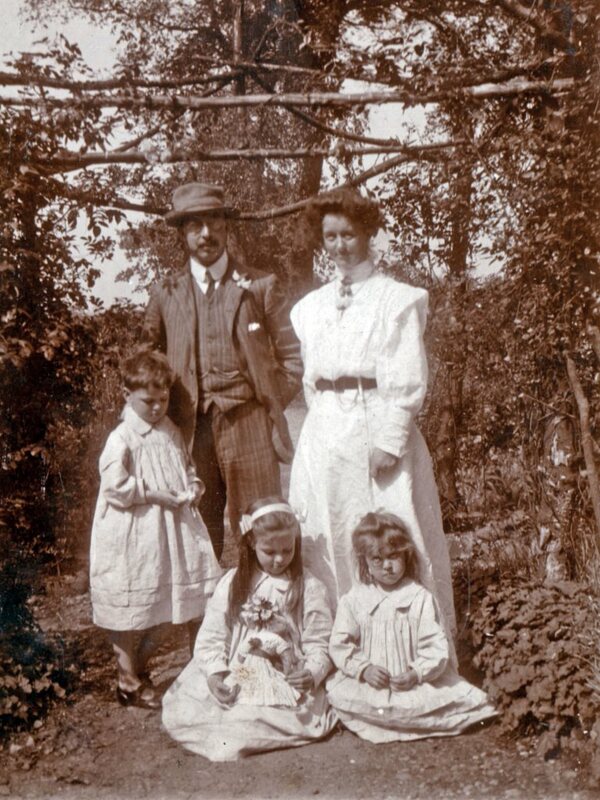 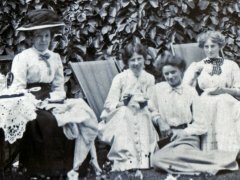 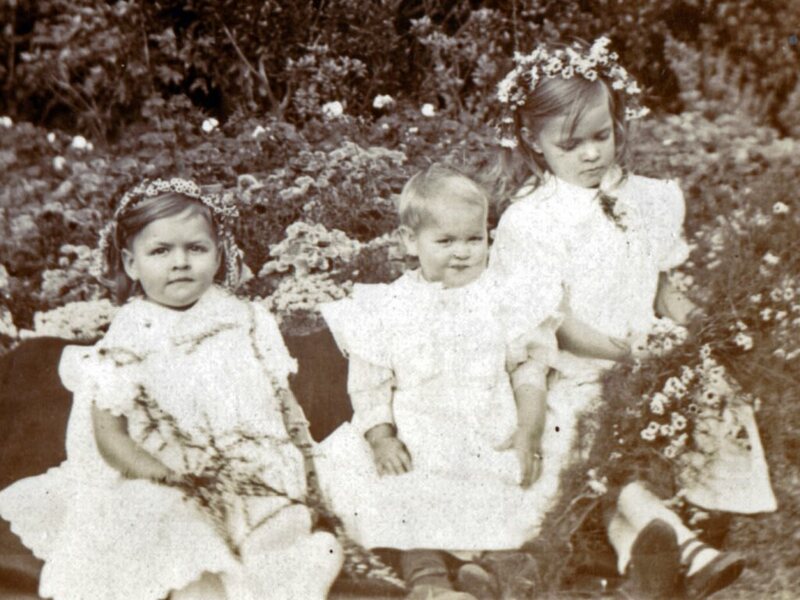 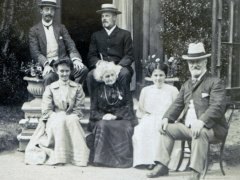 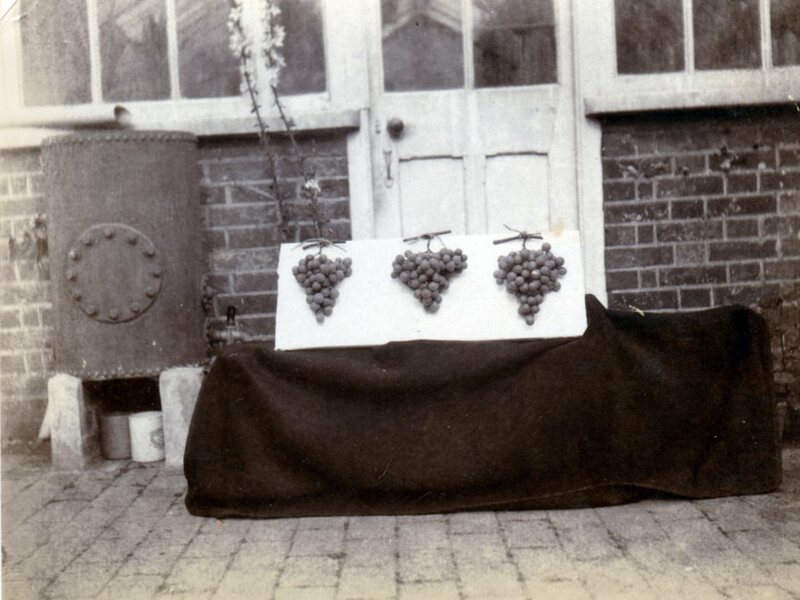 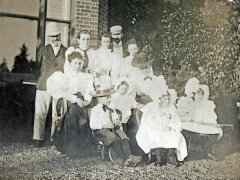 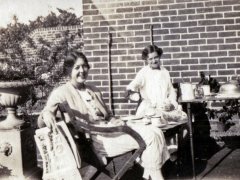 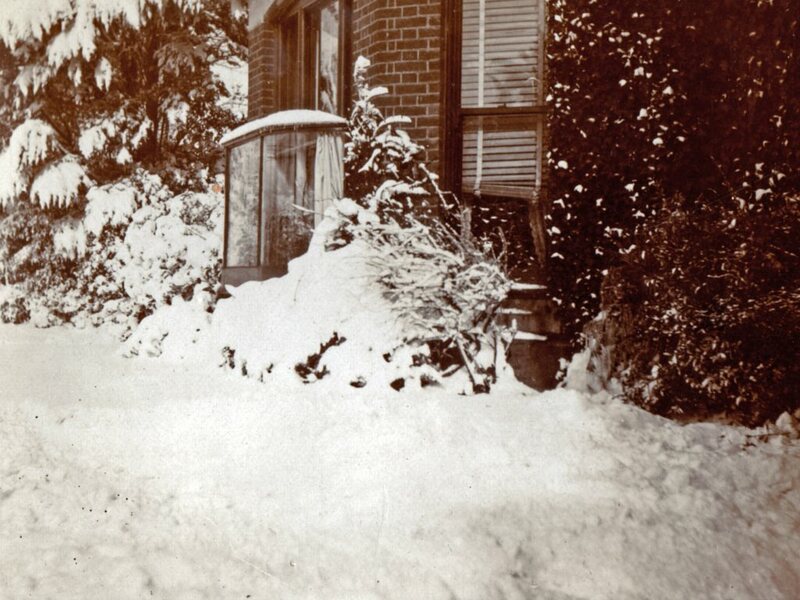 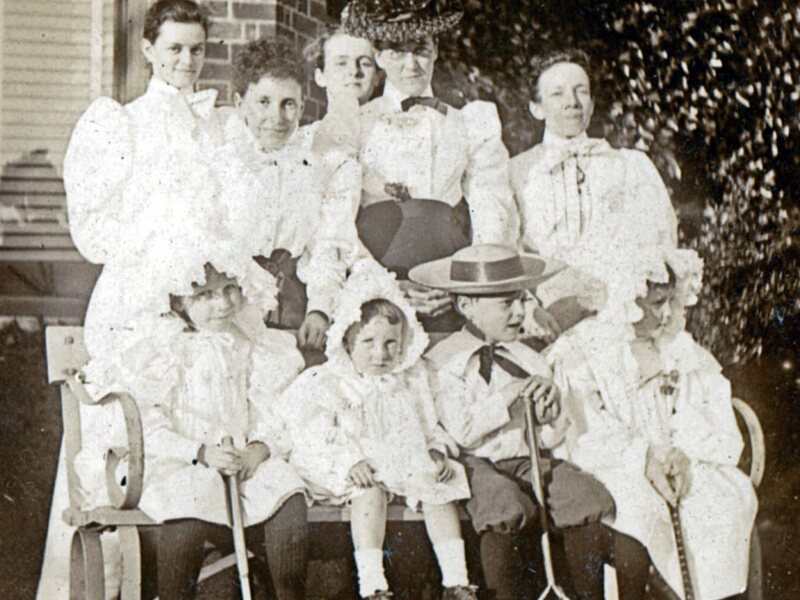 In 1871, according to the census, the family of three, with little Rose just a year old (left), were living at 17 Springfield Road, St Leonards, Sussex along with the baby's nurse, Elizabeth Edwards (17) and another servant, Charlotte Gallop (27). 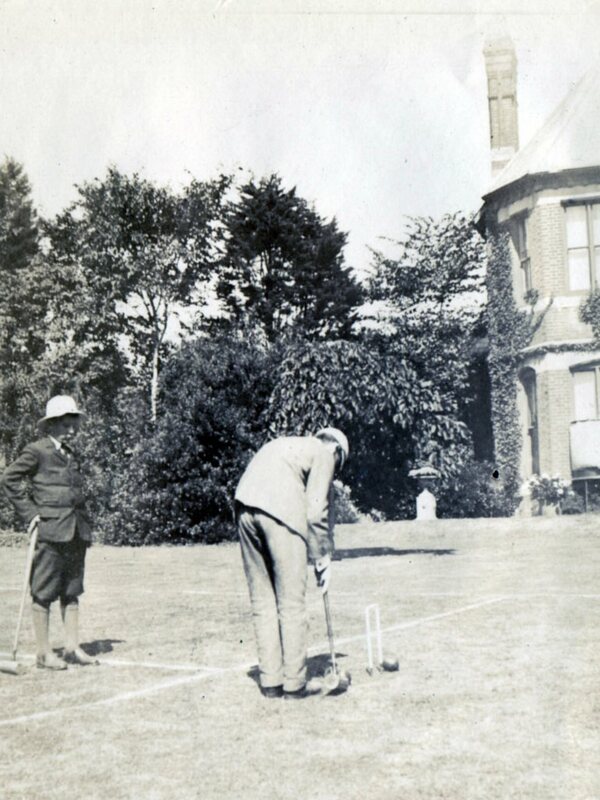 Philip's occupation is unclear as the record shows "(dividends)". 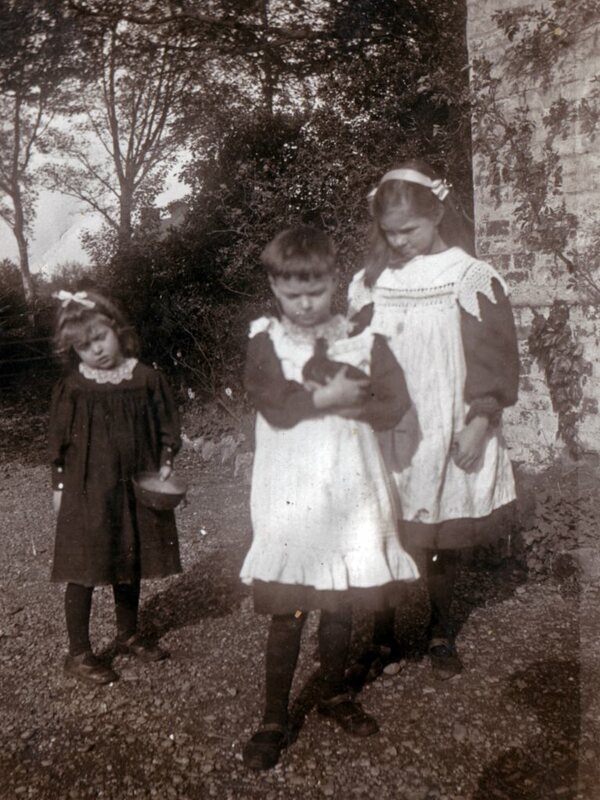 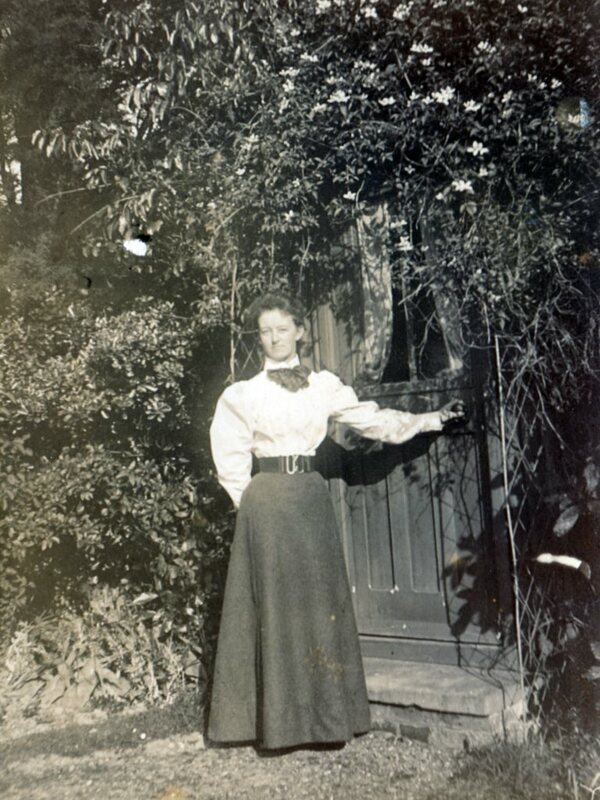 Marianne (below aged 7y 10m - July 1879) was born in 1871 and was just nine years old when her mother, Mary, tragically died in 1880 at the age of 36. Philip was left to bring up his daughters alone, with the help of servants. 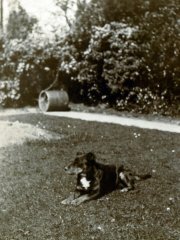 Mary Jane had been born into the Hill family of which there were many branches and the details of her parents are not completely clear as yet. However, according to the 1851 census there was a Robert and Sarah Hills with three children, Robert (11), Mary J (4) and Ann (1) who lived at Meopham Green. 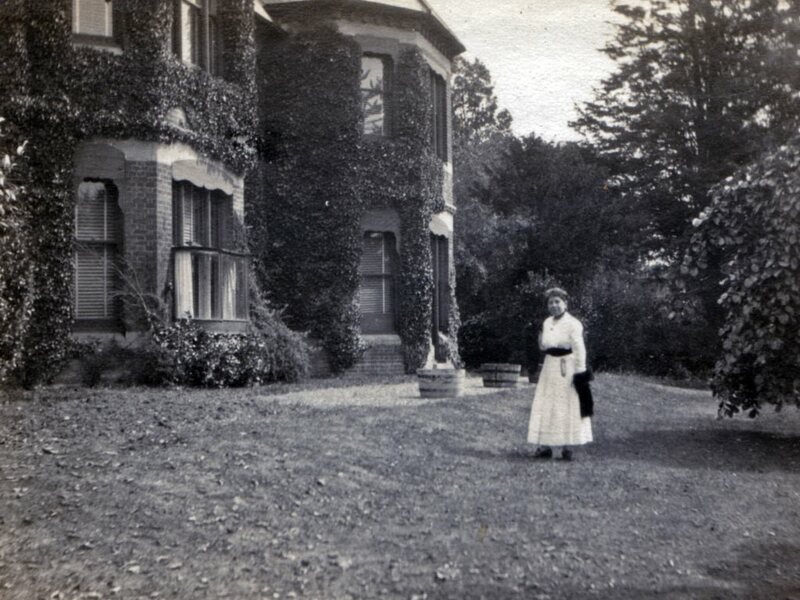 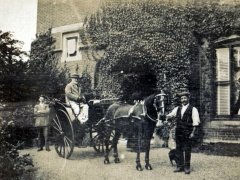 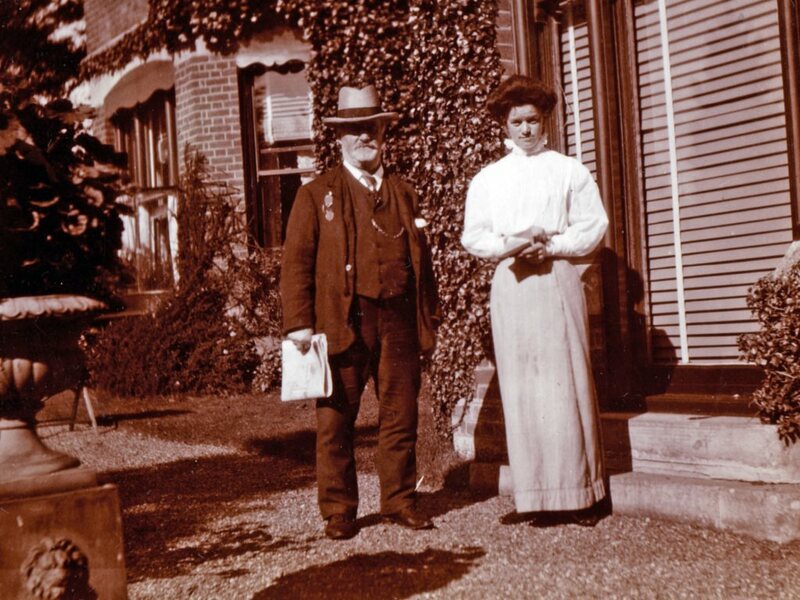 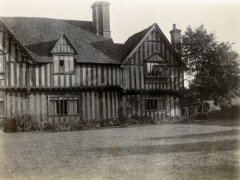 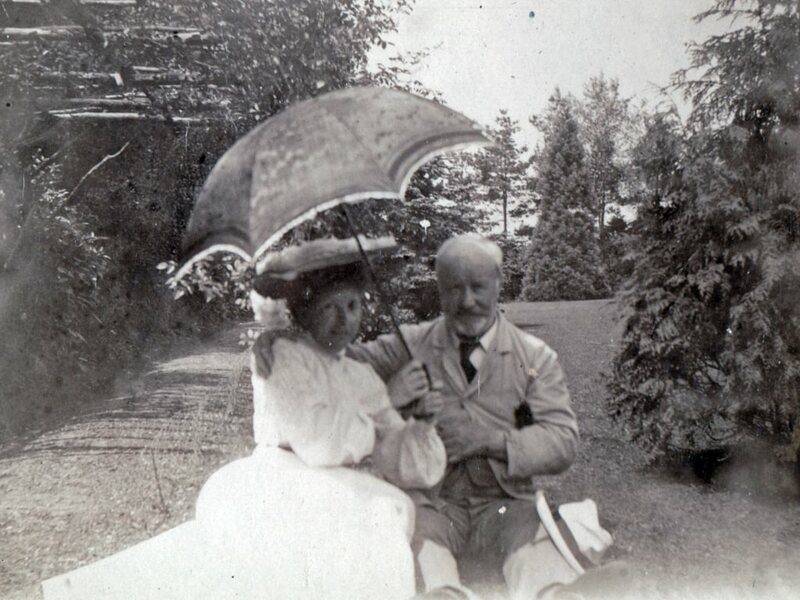 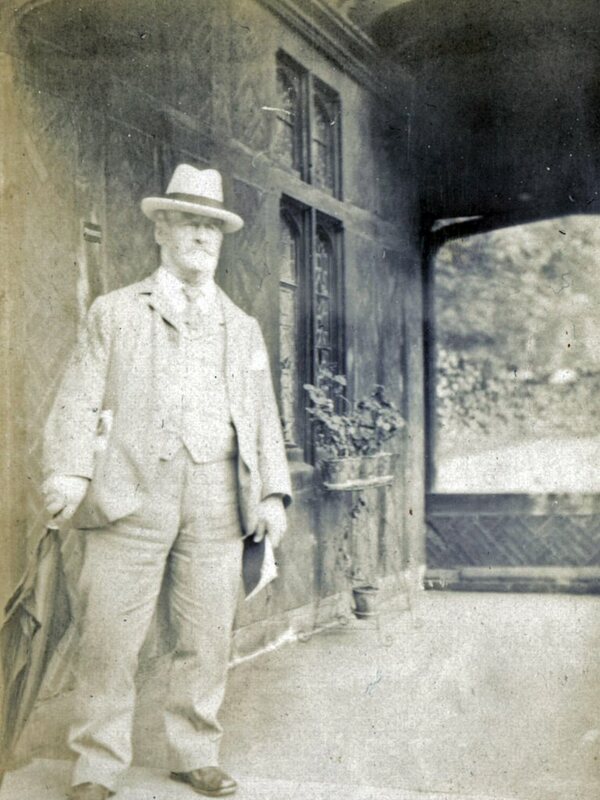 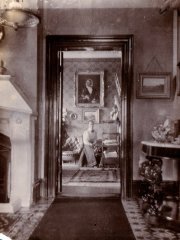 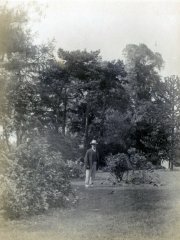 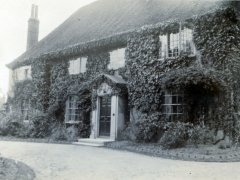 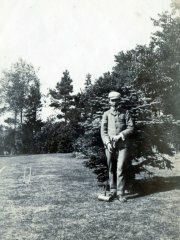 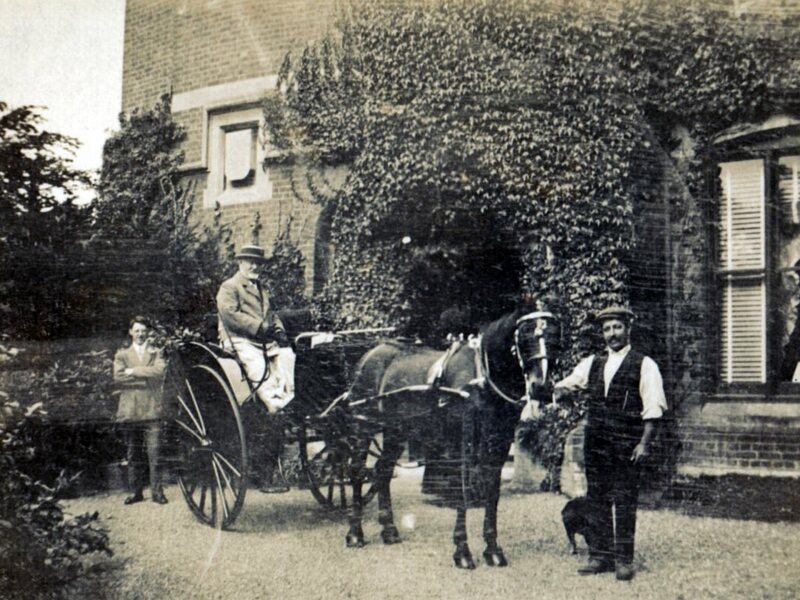 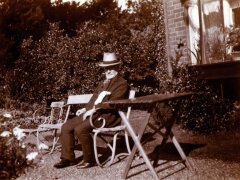 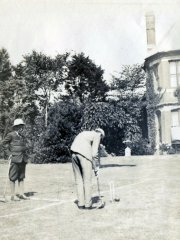 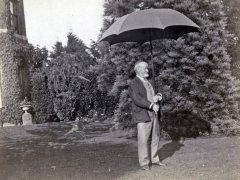 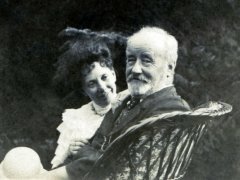 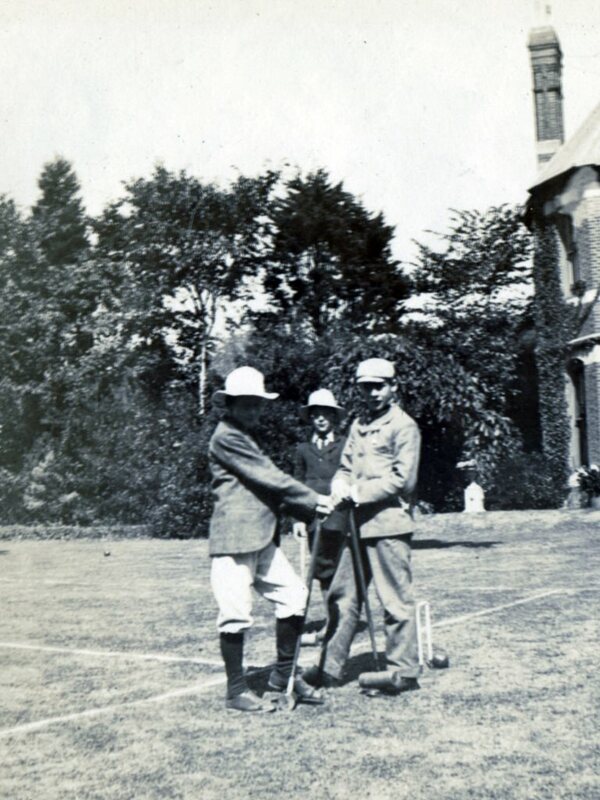 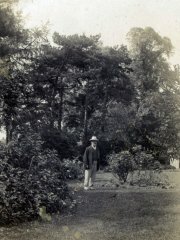 As a large mansion at Meophams Bank became Philip Eagle's home through to at least 1904, it is possible that Philip inherited his mansion home through his marriage to Mary Jane Hills of Meopham Green. Unfortunately, the age of Mary J as 4 years old according to the census data, does not match my records, and would make her just 14 at marriage! 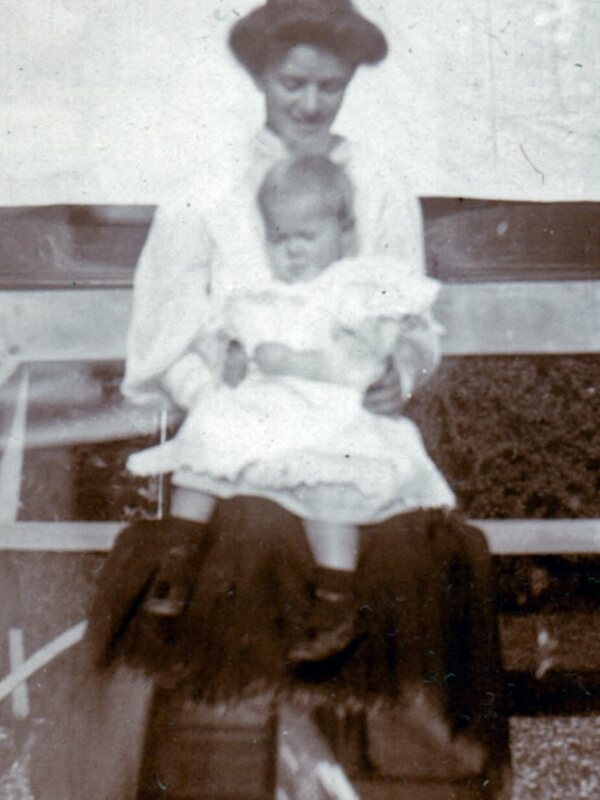 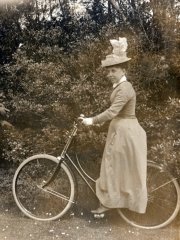 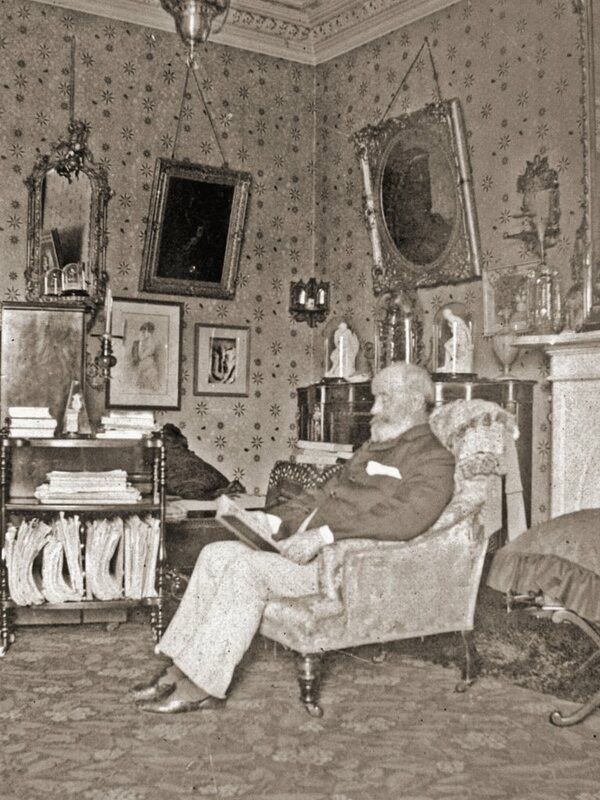 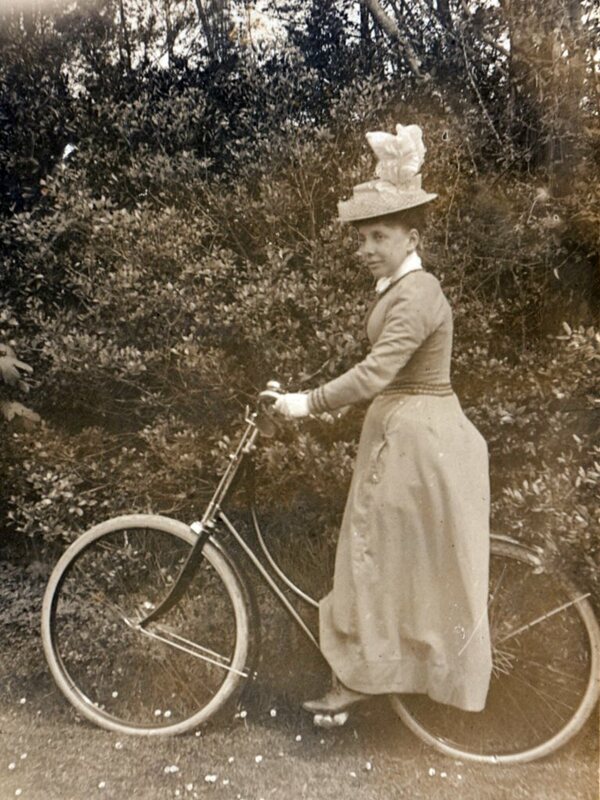 My records, taken from the photo album clearly show Mary to have been 19 at marriage, somewhat more realistic. It's possible the census data is wrong but I await more data before confirming this branch of the Hills family in the Hooke Family Tree. 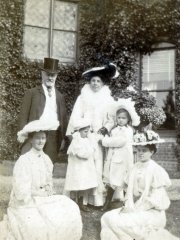 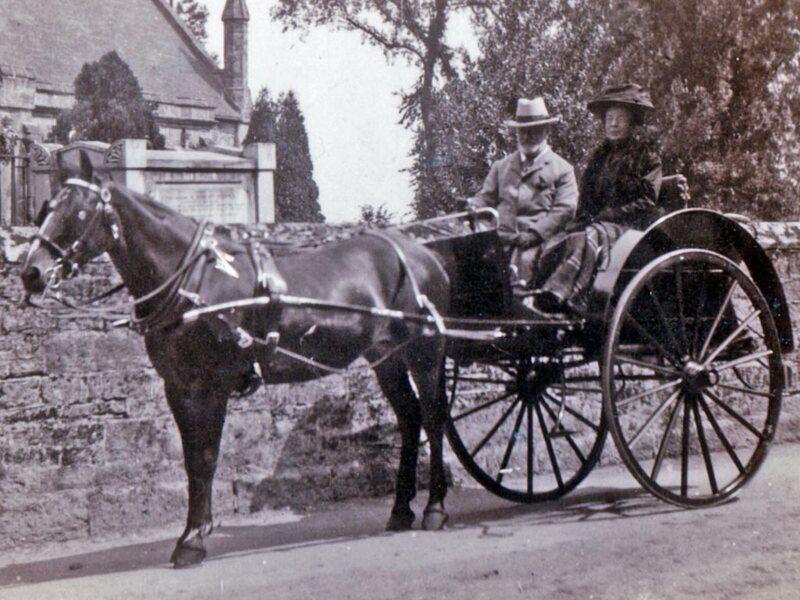 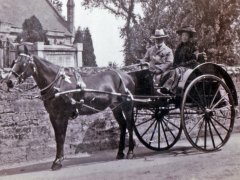 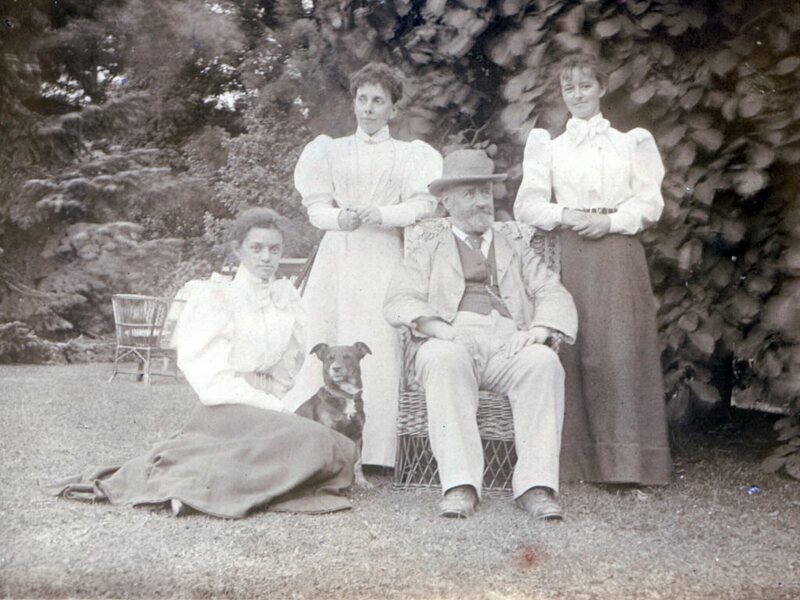 In the 1891 census, Philip, described a widower, is shown living at Meophams Bank, Hollington Sussex, by his own means along with his two daughters, Rose (21) Marianne (19) and a governess, Mary Jane Brignell. (31). 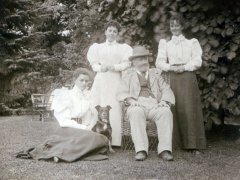 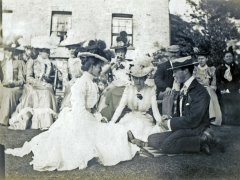 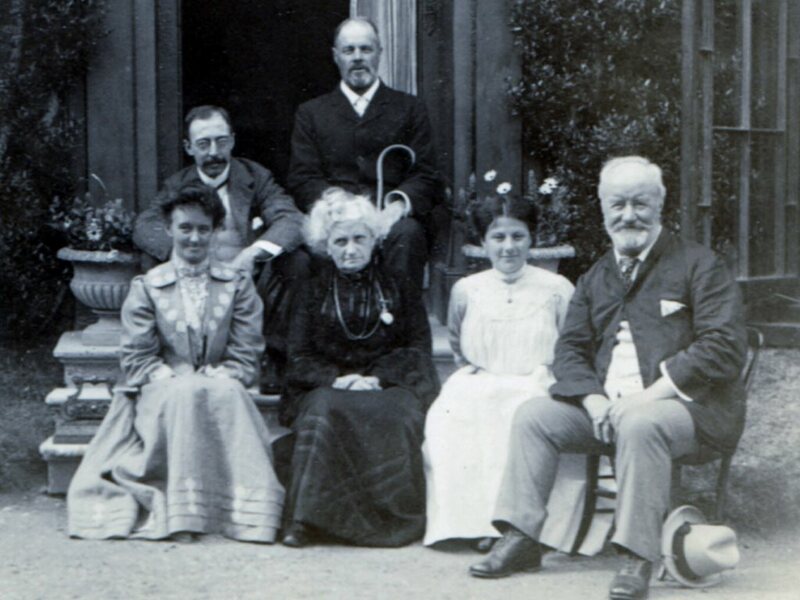 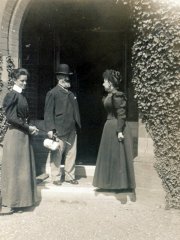 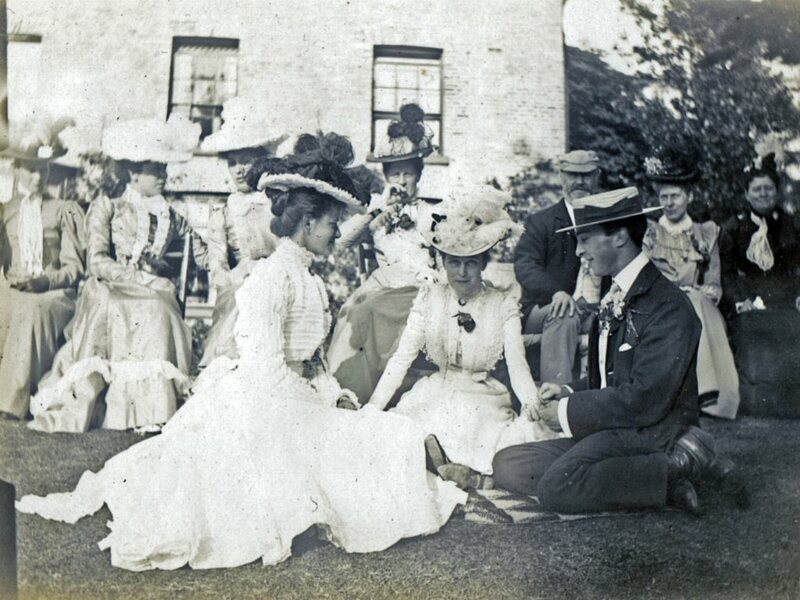 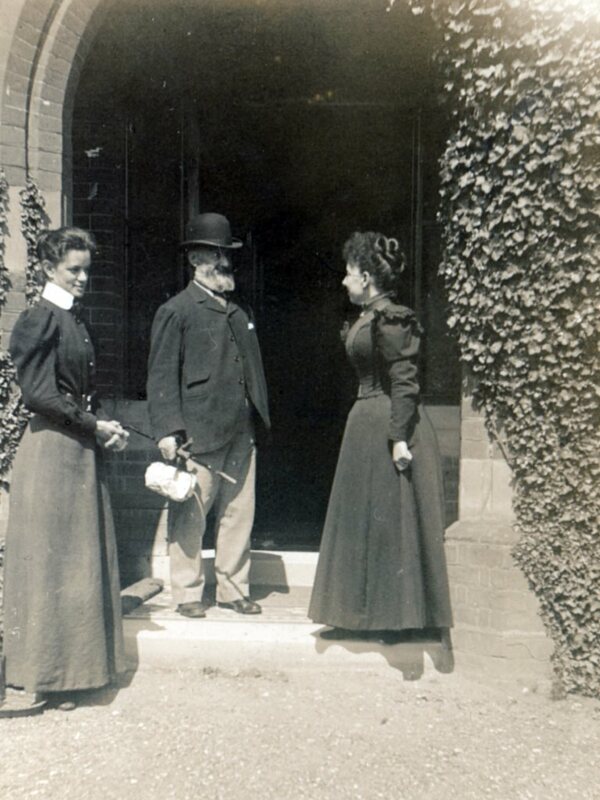 Two female servants, Elizabeth Alice Stuttaford (28) and Mary Ann Cloke (22) along with a couple of visitors, Ann Petman Grant (25) and Earnest Leage Smith (33) make up the household. 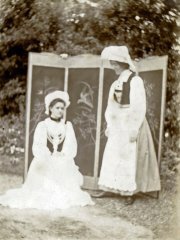 The governess is the person of significance here, her profession being shown as "school". 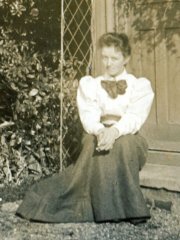 In the 1901 census Philip is shown as once again being married to Mary Jane Eagles, although this time it is Mary Jane Brignall not Mary Jane Hills. 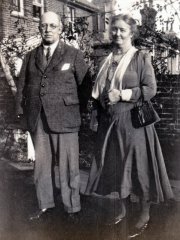 Philip has married the governess! 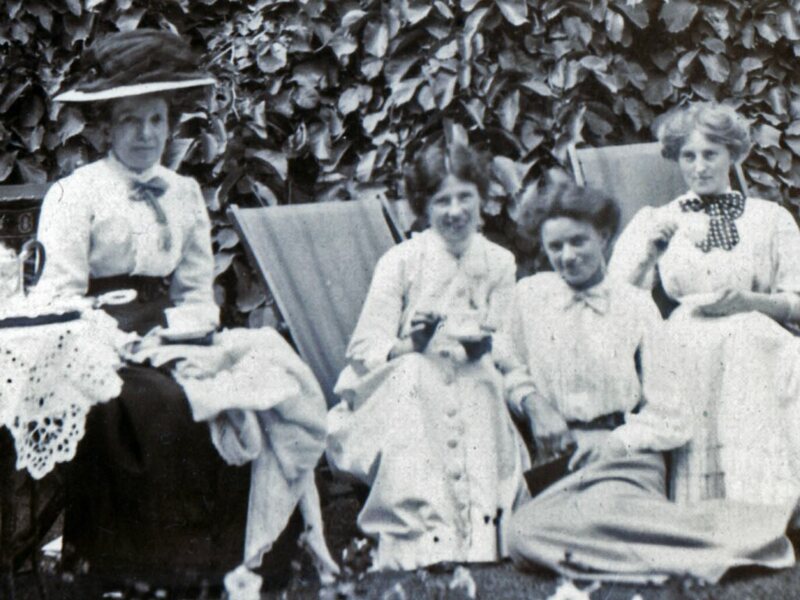 By this time Rose has left home, married to Ralph Oakden, living in India with their first child Elaine but Marianne remains at Meophams Bank along with two young servants Jane Highow (22) and Emma Venner (14). 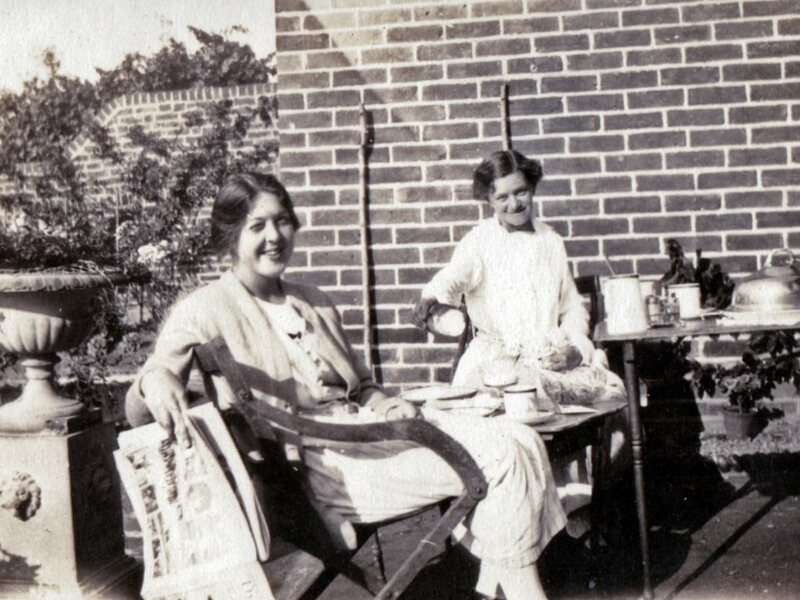 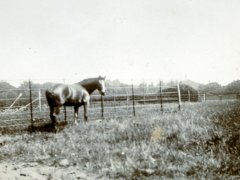 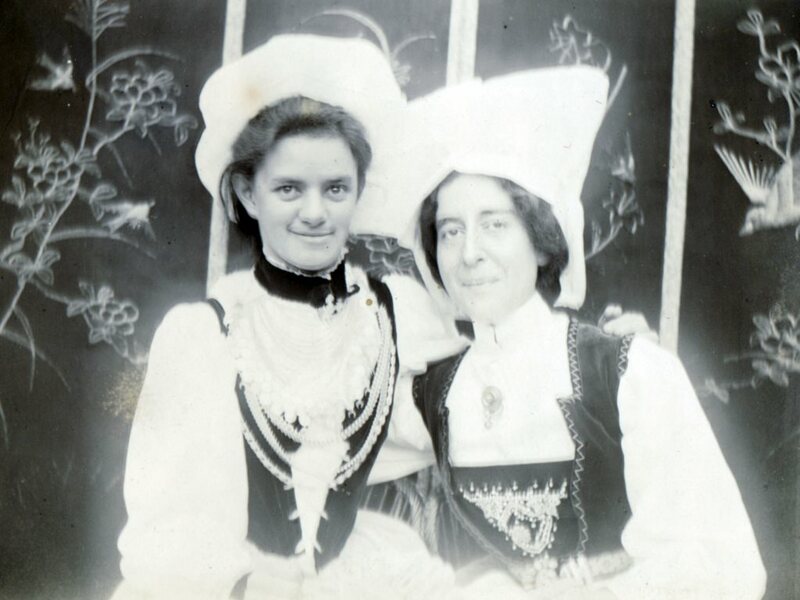 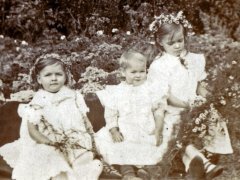 Mary Jane number 2 (right) became known as Little Grannie to the family. 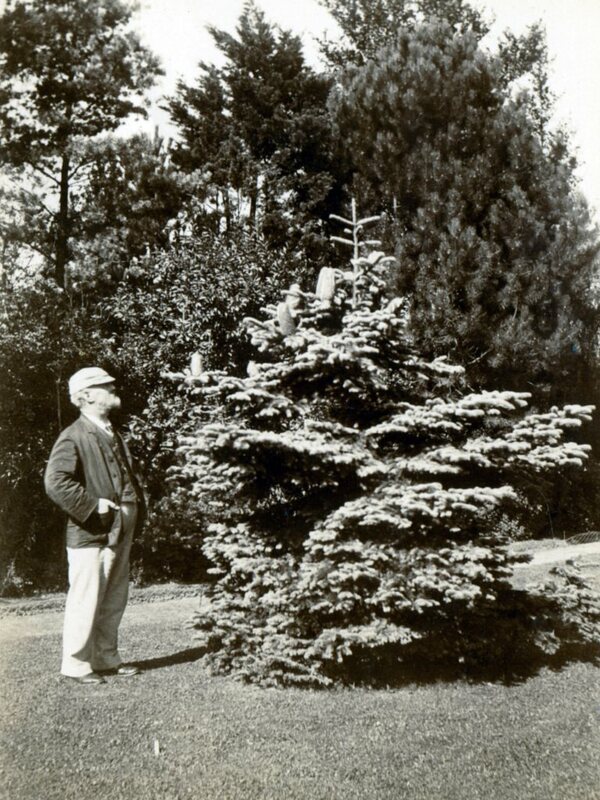 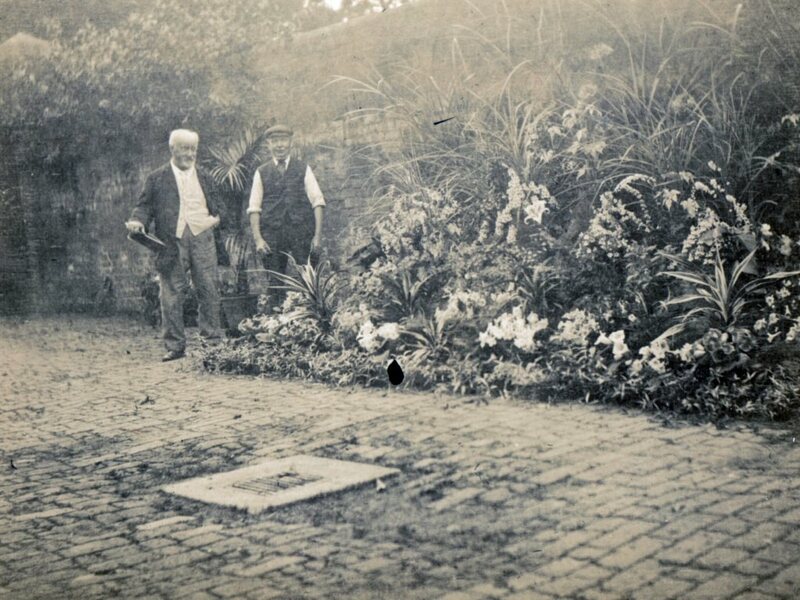 Reasons for this are not quite clear though she does not appear to be very big and her husband Philip was most definitely a small man, as can be seen from many photographs. 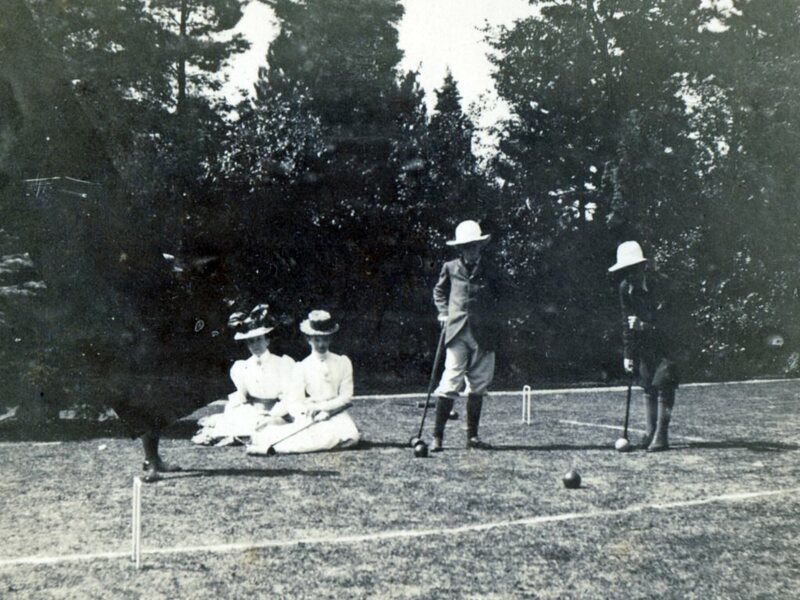 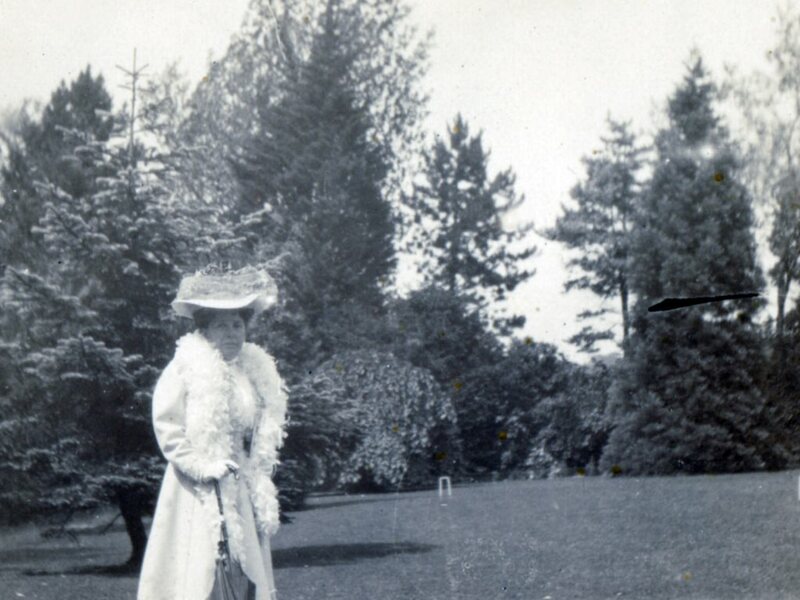 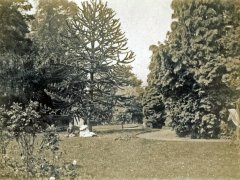 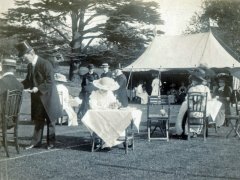 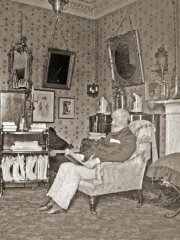 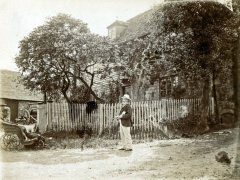 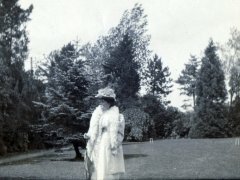 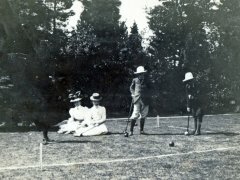 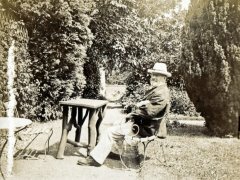 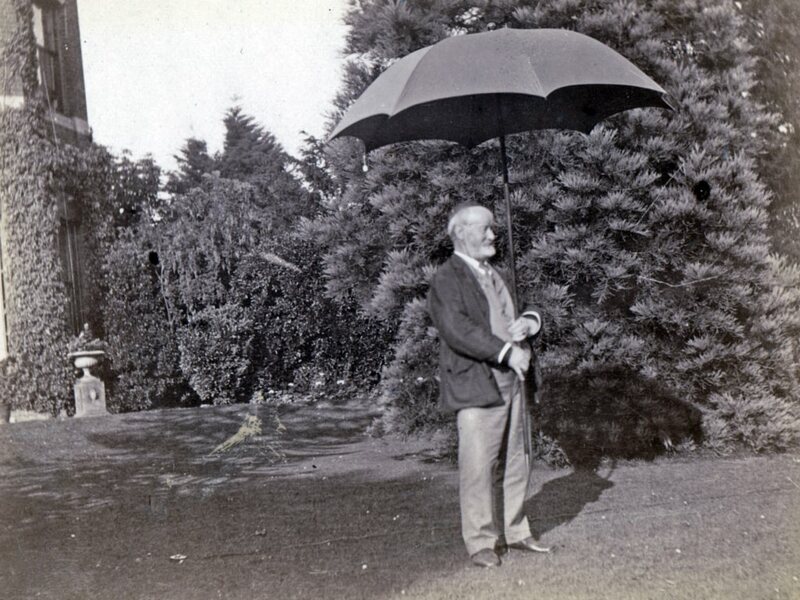 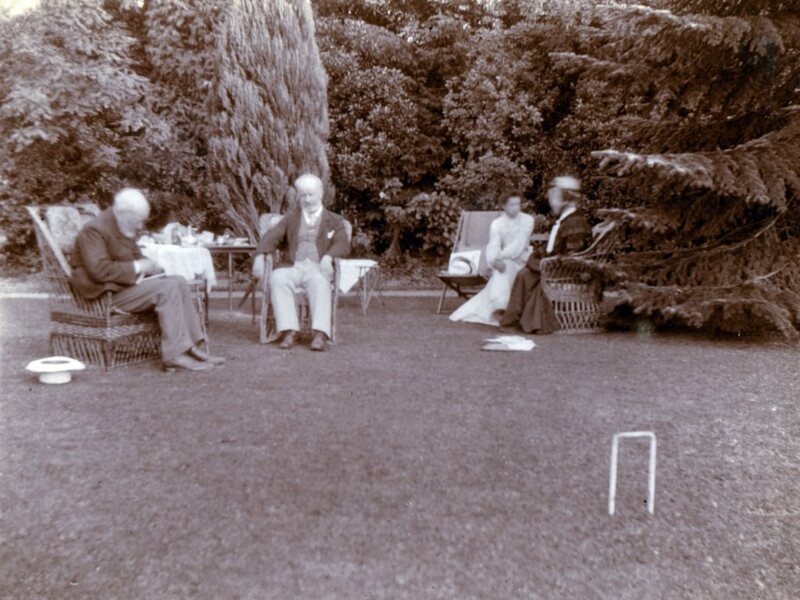 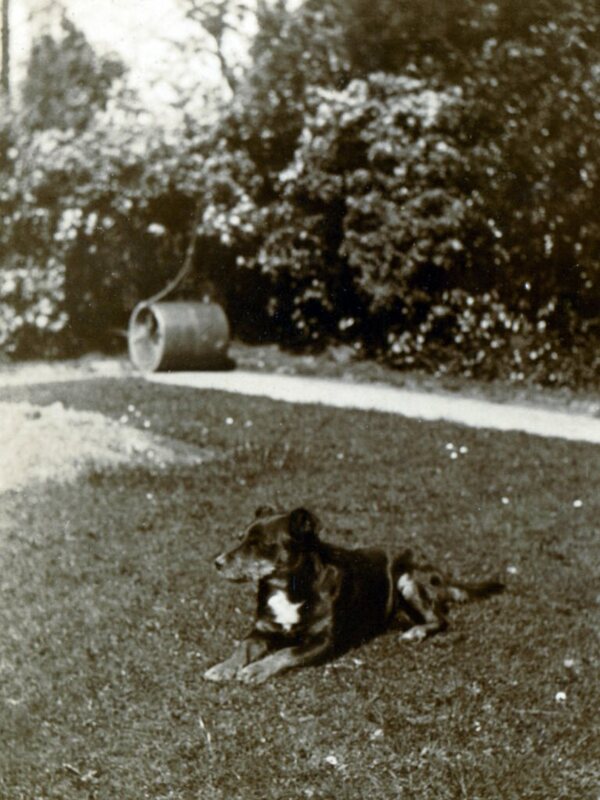 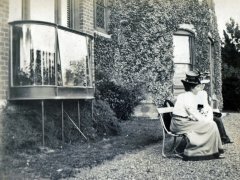 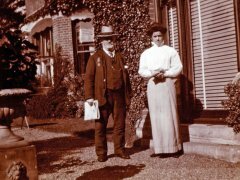 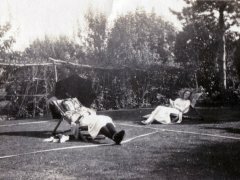 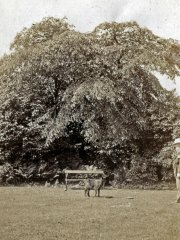 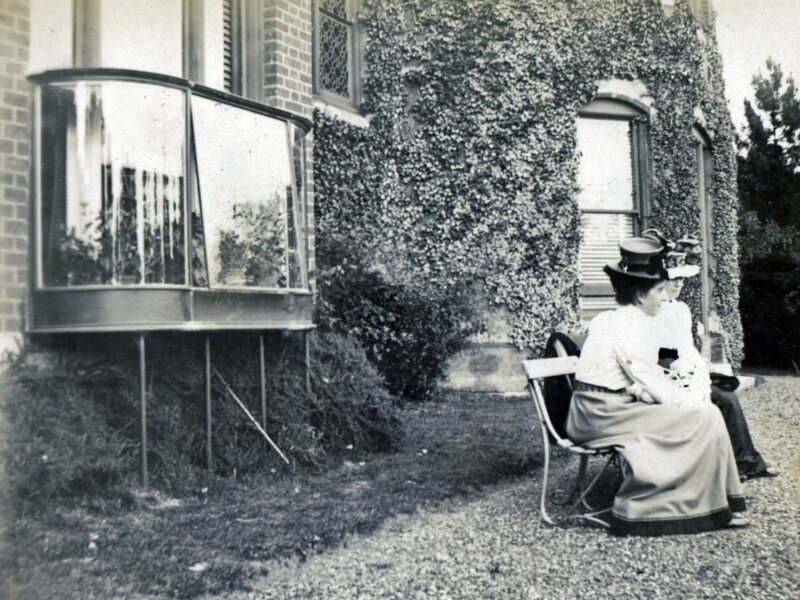 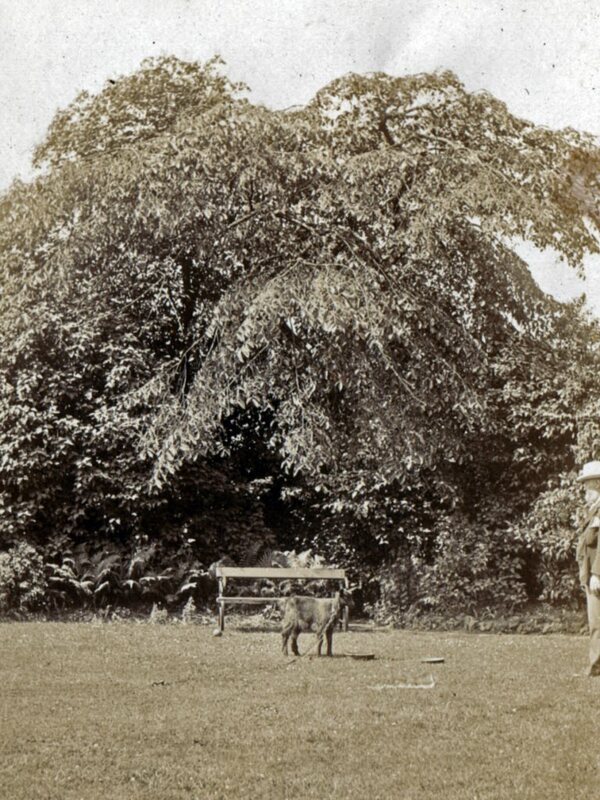 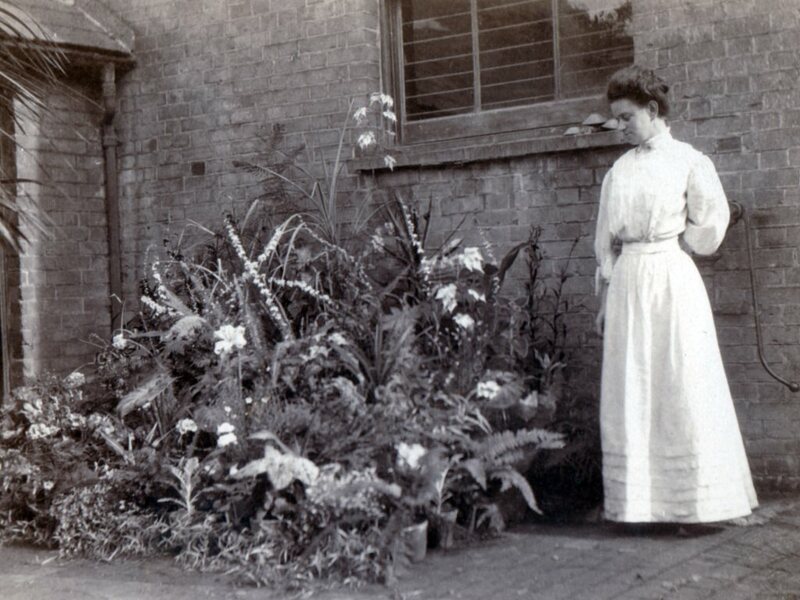 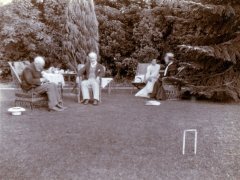 Life at Meophams Bank, a mansion situated out in the Kent countryside, with extensive grounds, must have been quite idyllic. 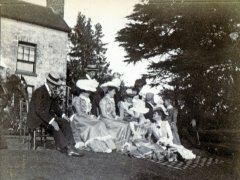 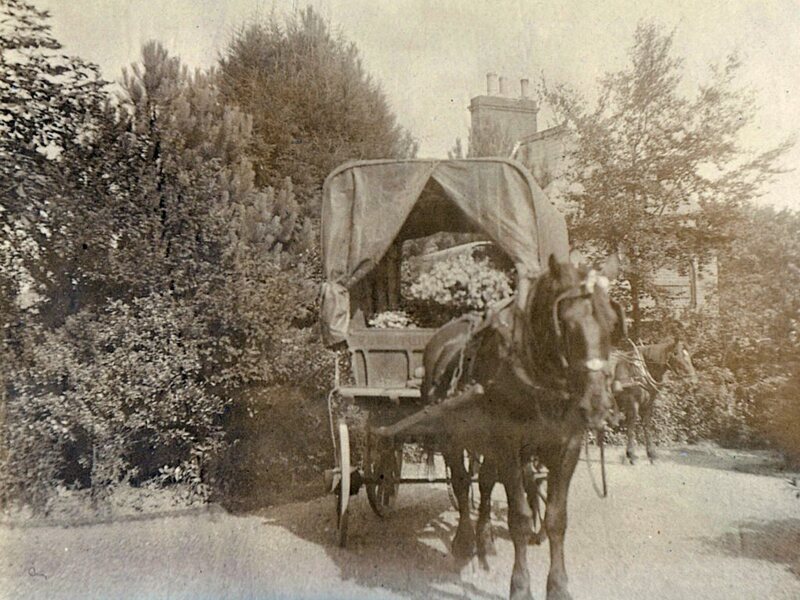 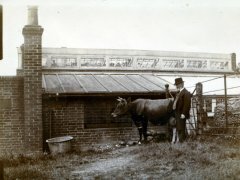 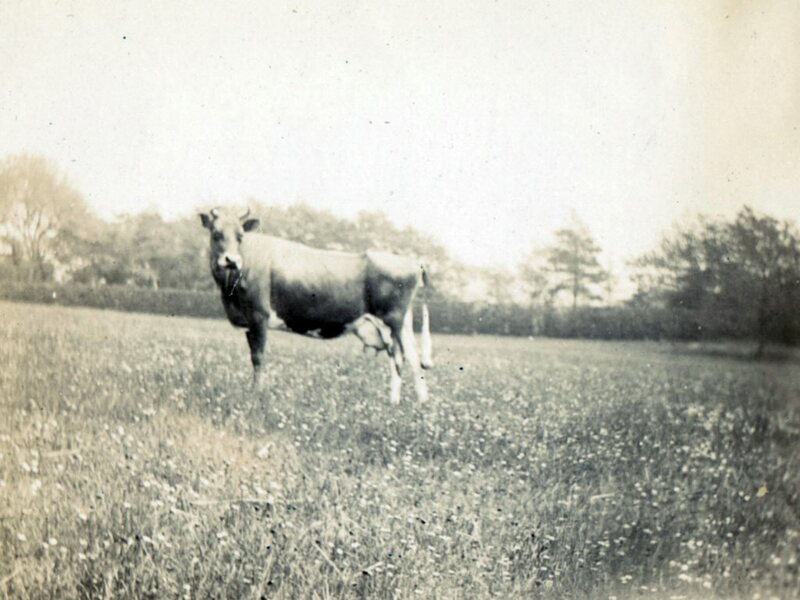 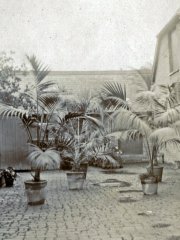 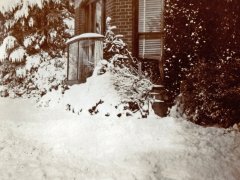 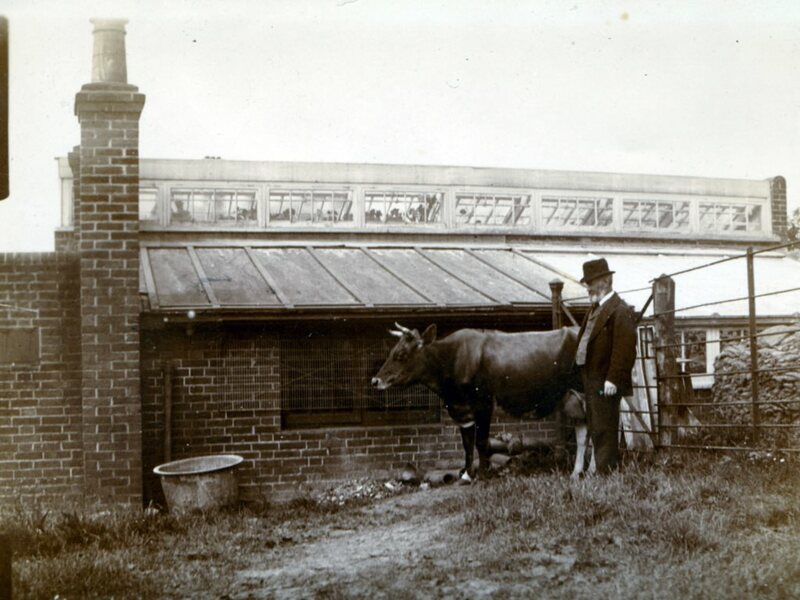 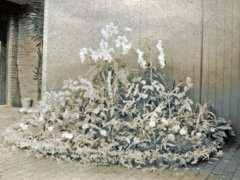 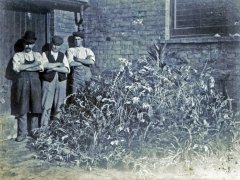 Photographs certainly lead to that impression and below is reproduced an entire photo album featuring life at Meophams Bank in the pre-war era from 1900 on. 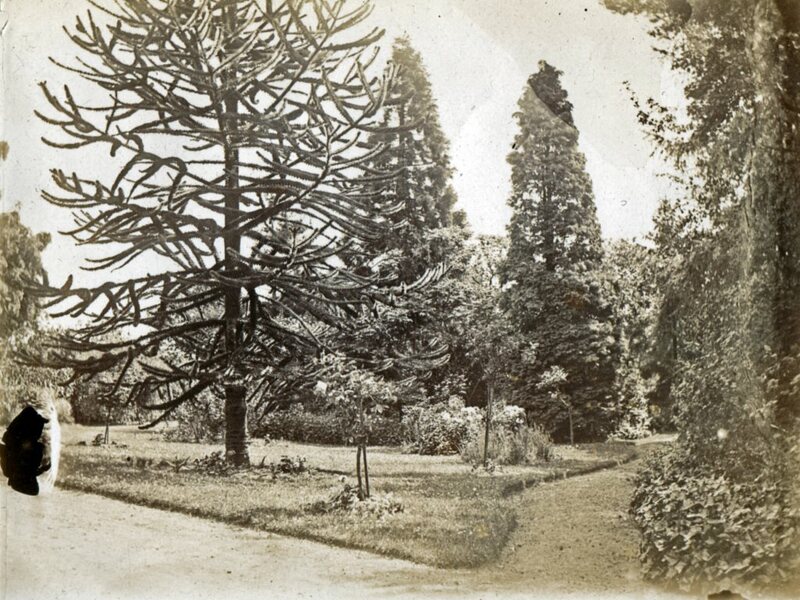 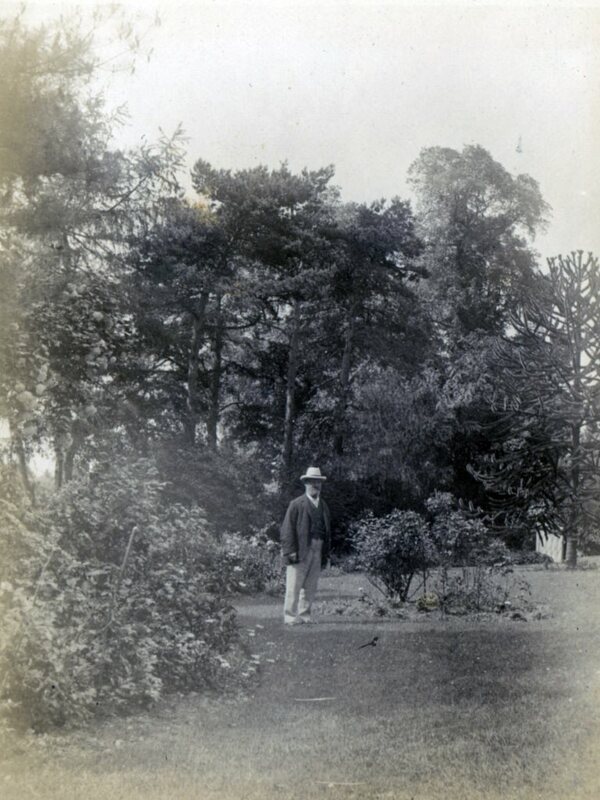 Meophams Bank can still be seen today, but only just, as the current owner likes his privacy and has planted a very tall hedge round out which prevents anything but very limited views of his mansion. 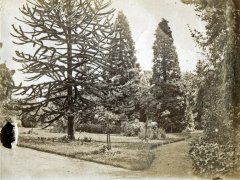 A footpath tracks the edge of the grounds but visibility through the dense foliage is virtually impossible. 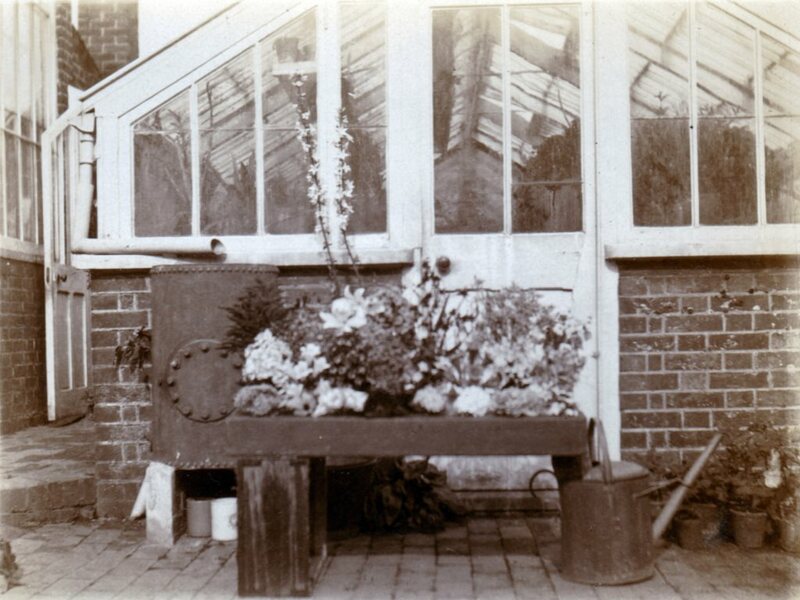 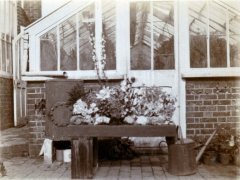 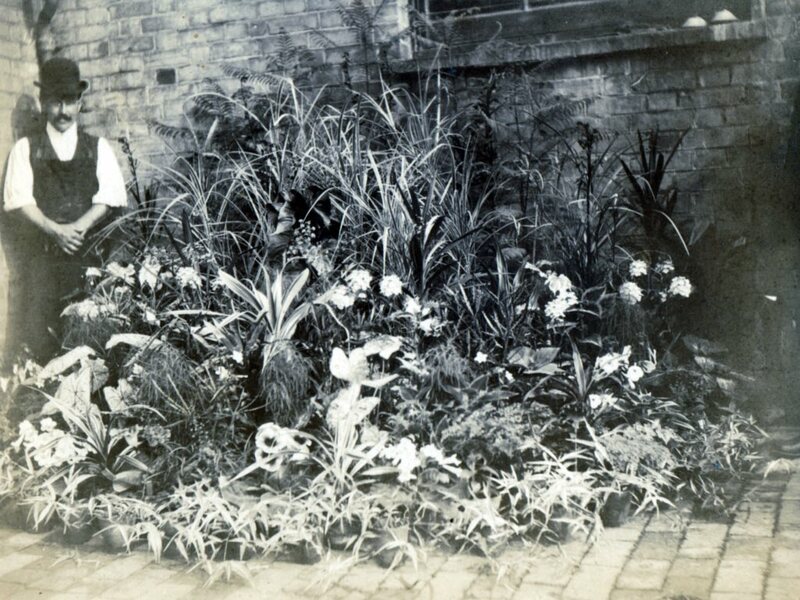 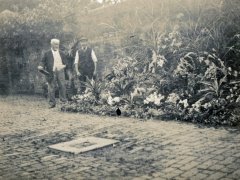 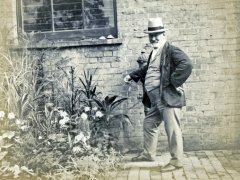 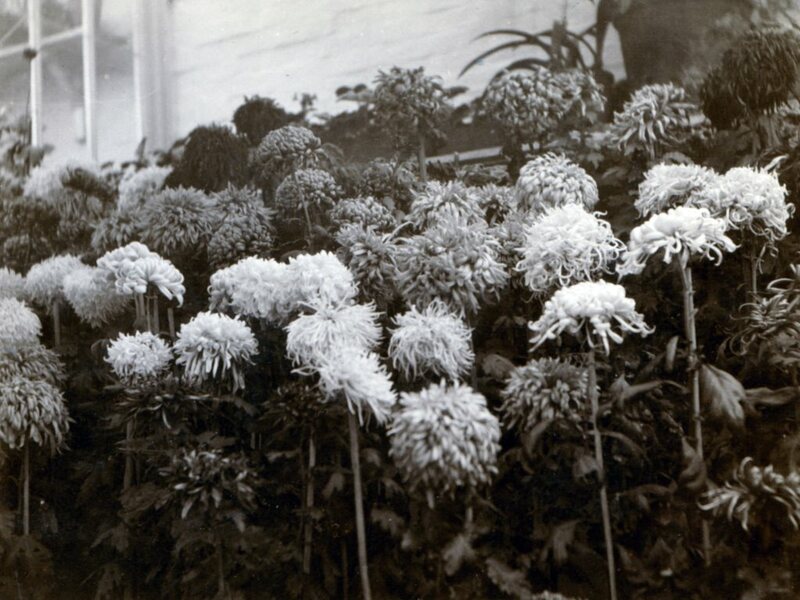 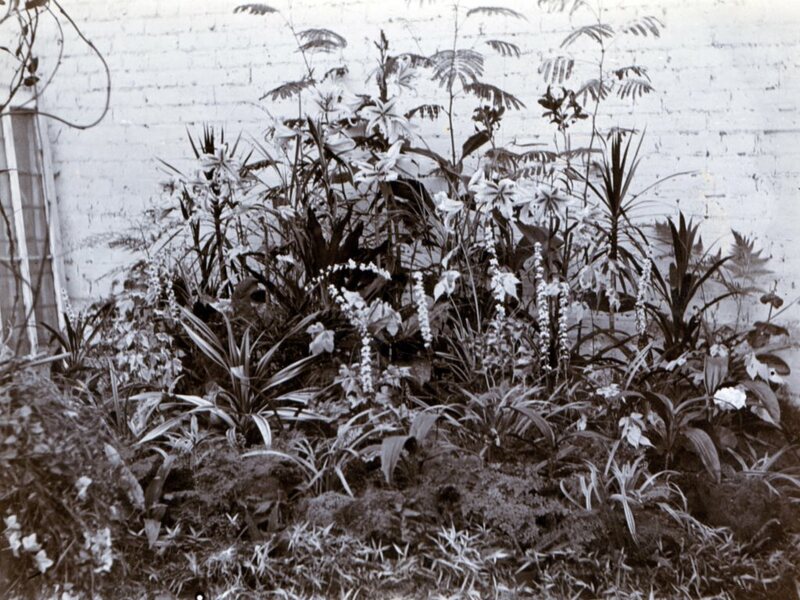 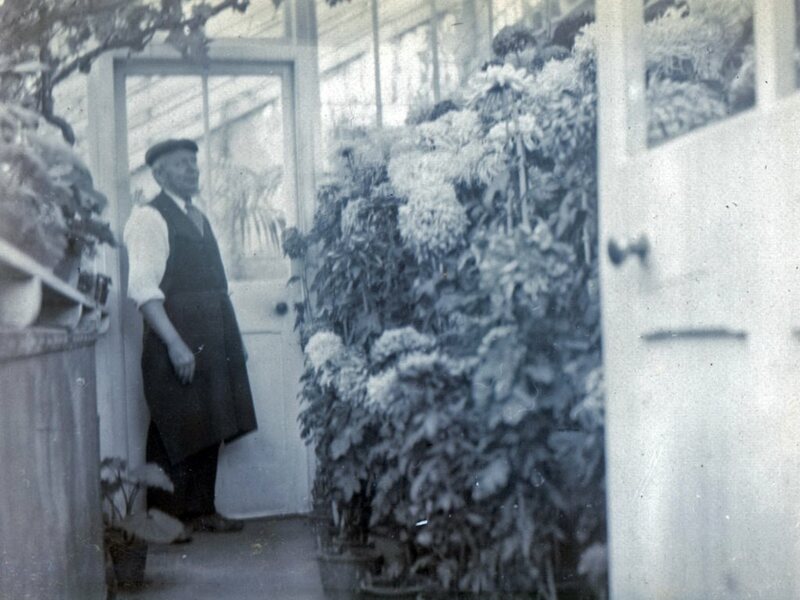 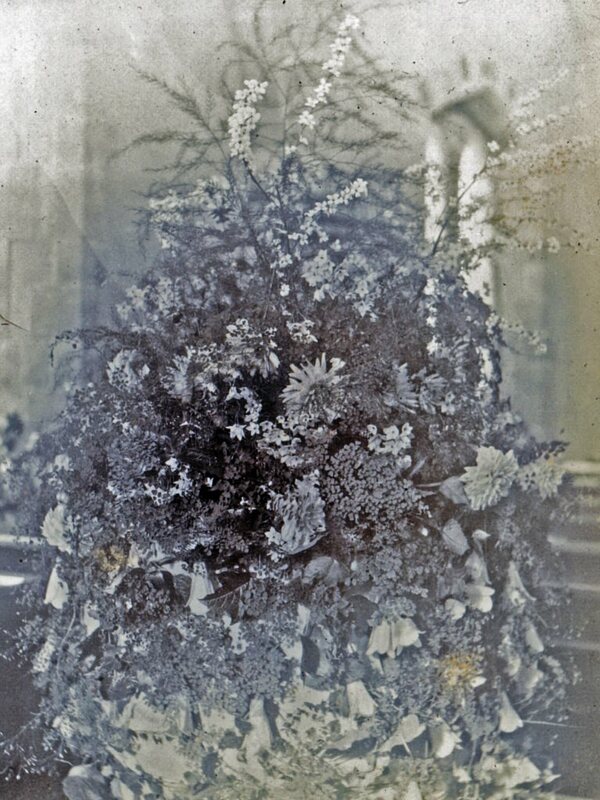 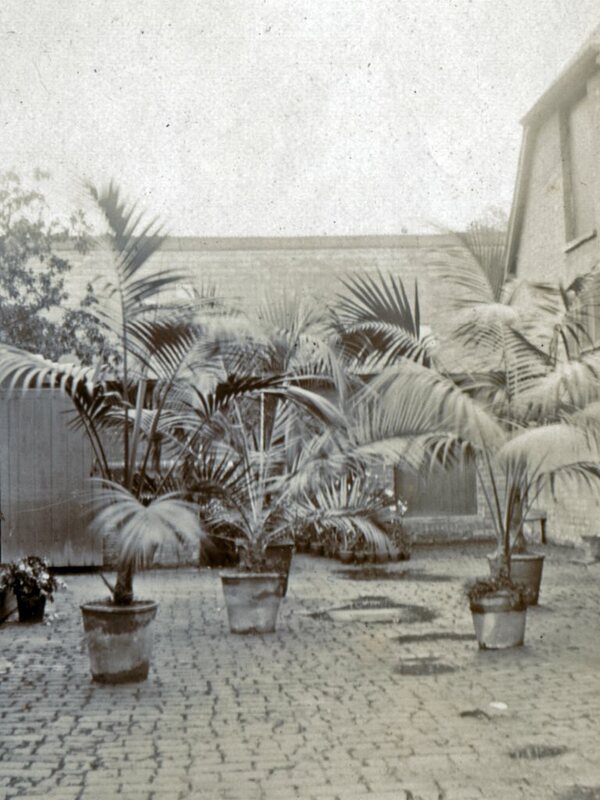 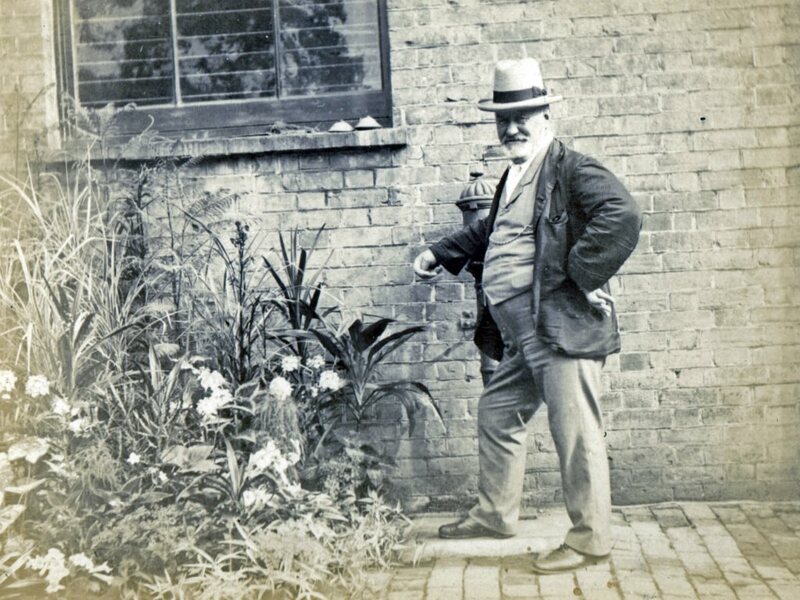 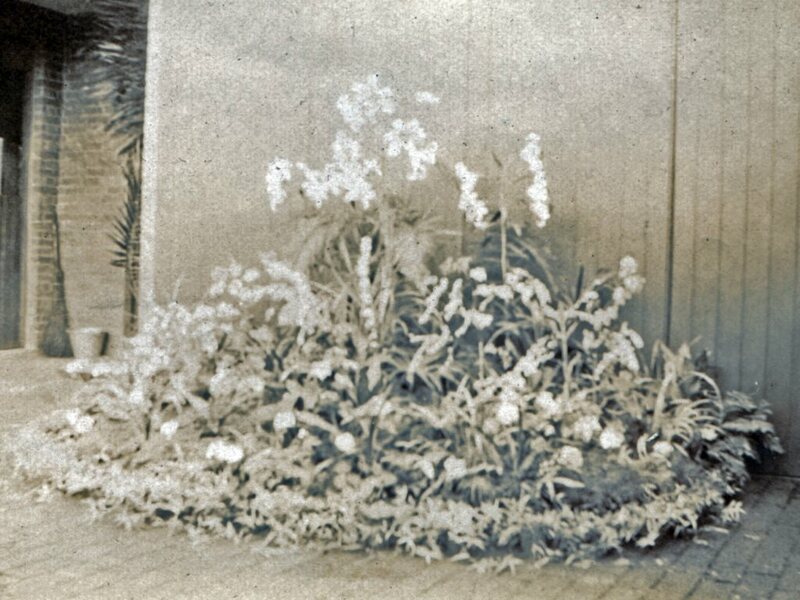 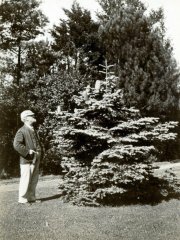 Philip was a keen gardener and entered his flower displays to various shows. 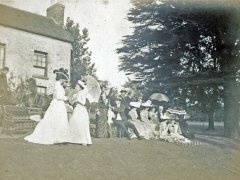 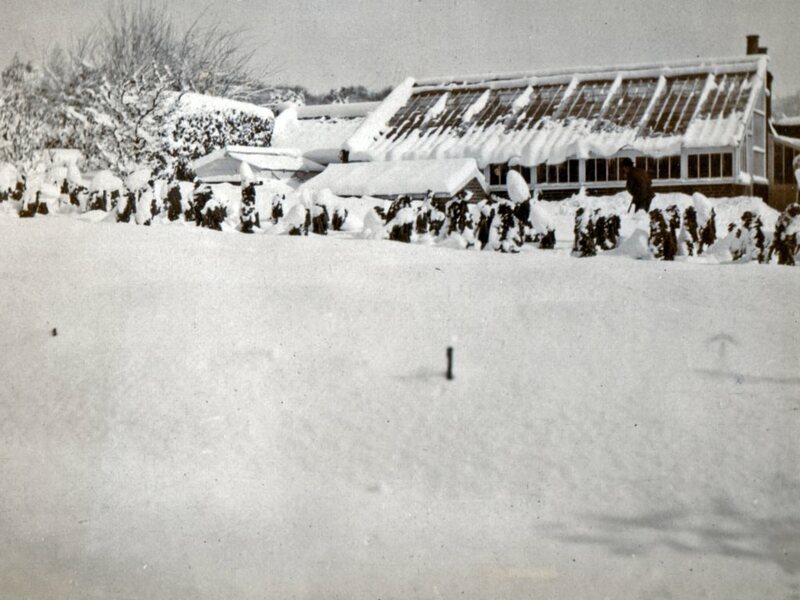 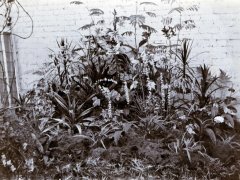 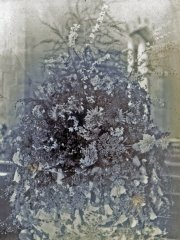 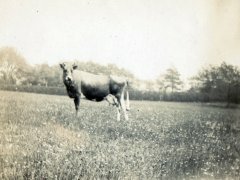 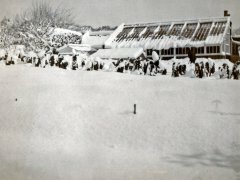 The photographs include displays that won 1st and 2nd prizes at shows in Battle and St Leonards. Sadly, black and white doesn't really do them justice! 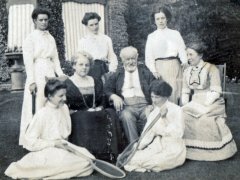 Family group ready for sporting action! 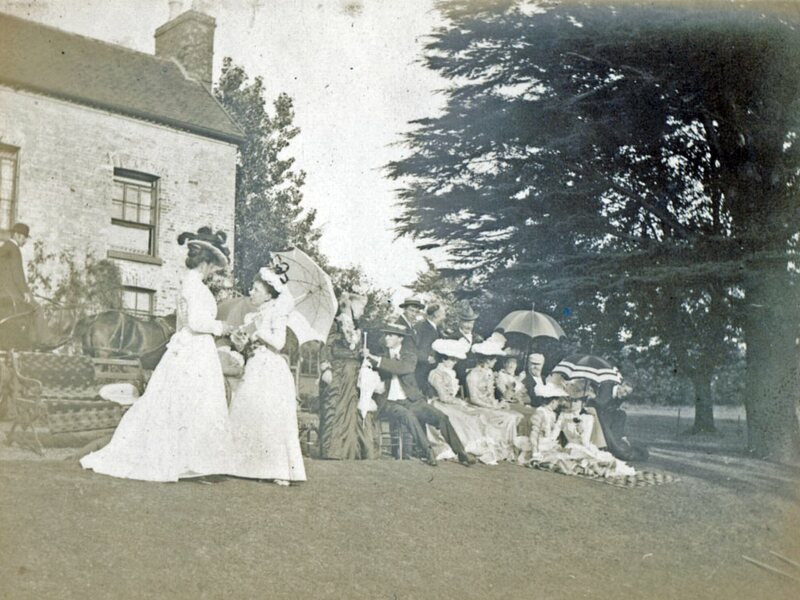 Aunt Mona's wedding at Bramshall. 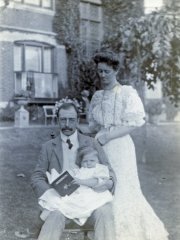 She married Julius Hurst.